At Tenpin you’ll find plenty of lanes where you can show off your strike to your friends, family or colleagues. When it comes to bowling, we’re the experts! 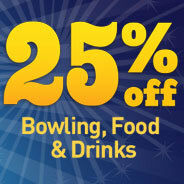 Set in the heart of Star City lie 28 bowling lanes, so take advantage today. If you’re looking for a fun fuelled time then a game of bowling is just what you need. 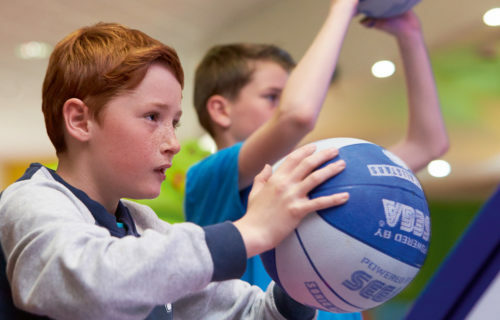 Whether socialising with your friends or spending quality family time together, the activities and family-friendly atmosphere you’ll find at Tenpin will recharge your batteries and bowl away your blues. 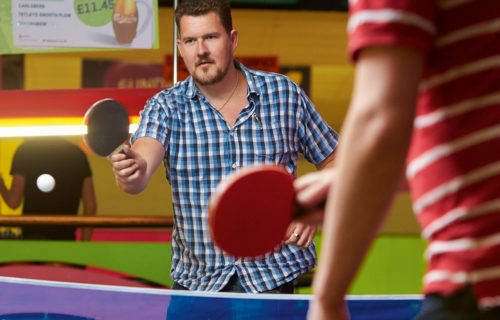 With refreshing food and drinks available from the ‘The Lanes’ as well as a fully licensed bar you'll have a great time playing on the lanes or on the many arcades and 17 pool tables. 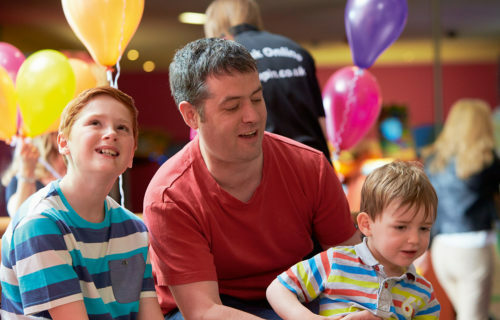 Children’s Birthday Bash Party celebrations are also available with 2 hours of non-stop party fun bowling and party meals. Music, cosmic bowling (featuring UV and flashing lights) and children’s’ entertainment is a huge appeal at the centre. There's no better venue to cater for your entertainment needs. During the school holidays our site may be open for longer than the stated opening hours. Exclusive online 25% discount offer! 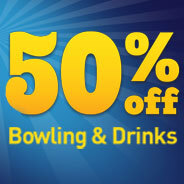 If you are thinking of visiting Tenpin on a Friday evening after 6pm, why not take advantage of our Friday Frenzy deal? Book online, in advance and you will receive a 25% discount on our standard bowling prices (this includes 1, 2 or 3 games). If you want even better value, we're also slashing the prices of selected food and drink when pre-booked online, in advance. Get 25% discount on selected beers, soft drinks, wine, spirits and our legendary burger meals and sides. - Available all day (from 6pm on School and Bank Holidays). 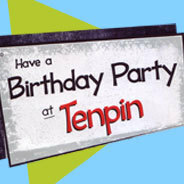 Enjoy 1 game of Tenpin Bowling and 2 games of Adventure Mini Golf for £20 per person! Valid all day Sunday–Friday (not valid Saturdays), term time only. Not valid during school, bank or public holidays. Offer subject to lane availability at Tenpin and can be changed or removed at any time. This great offer can ONLY be purchased from Tenpin at StarCity, just pop along and ask for the “Mini Golf and Tenpin Discount Combo. Saturday & Sunday mornings - 2 hours of birthday fun!